Legal news for New Jersey aviation accident attorneys – A Cessna 172 crashed in northern New Jersey, killing one and injuring another – reasons for crash under investigation. New Jersey plane crash that killed pilot under investigation. West Milford, NJ (www.NewYorkInjuryNews.com) – A small airplane crash in northern NJ on Saturday, April 3, 2010 killed one man and seriously injured another, as reported by New York Daily News. 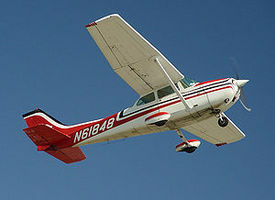 The two injured parties were the only two people on board the Cessna 172, a four-seat, single-engine, fixed-wing propeller plane. No one on the ground was injured by the accident. According to reports, the plane crashed near a residential, wooded area in the West Milford community in Passaic County. Authorities reported that they believed the plane departed from Orange County Airport, located in Montgomery, NY, early in the afternoon of Saturday, April 3. Authorities were unsure whether the pilot was trying to land the plane at the airport in West Milford, or if he was attempting to make an emergency landing. The pilot, Arthur Leidenfrost, 61, of Park Ridge, was pronounced dead at the scene. The passenger on the plane, Steven I. Goldstein, 49, of Hawthorne, was rescued from the wreckage and flown by helicopter to Morristown Memorial Hospital. The cause of the crash remained under investigation, as of Monday, April 5, 2010. The Federal Aviation Administration (FAA), the National Transportation Safety Board and the state Department of Transportation Aviation Division is investigating the crash. Legal News Reporter: Tara Monks – Legal news for New Jersey aviation accident attorneys.